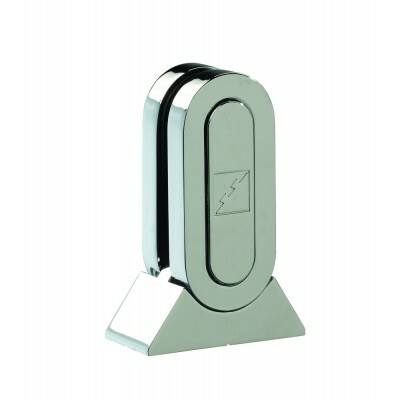 Pack of 8 chrome plated glass panel bracket from the domestic Fusion range by Richard Burbidge. This pack is enough to fit 4 glass panels. The brackets are designed to keep the Fusion range of 6mm glass panels securely in place on landings as well as on stairs with a pitch from 38 degrees to 45 degrees. The brackets include notches for ease of installation. There are two fixing holes per bracket. The glass fitting is concealed behind an attractive cover bearing the Richard Burbidge logo. Also supplied in packs of 2.